If you need motivation for the rest of the week, here it is. 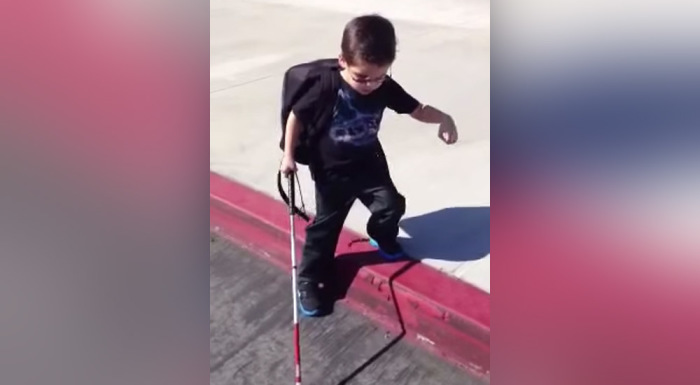 In this March 2013 video, 4-year-old Gavin Stevens, who is completely blind, is attempting to step down a curb by himself for the first time. His cane is his only guide. He inches toward the curb at the encouragement of his mom, Jennifer Stevens, and then taps to feel the step down. But before taking the plunge, he drums up some self-encouragement, proclaiming, "I got it." And then touchdown. It's a spectacular triumph for Gavin. For us, it's an industrial-strength dose of inspiration as this boy who's overcome so much takes one courageous step.